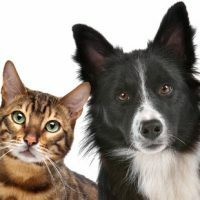 Although many people consider their pets “family,” the fact is that pets are legally assets, no different really from your kitchen table or your car. Also, pet care is an expense that reduces the amount of money you can pay your creditors. For these reasons, your pets are not immune from bankruptcy, and it is perfectly natural to want to know how a bankruptcy might affect them. Because this can sometimes be a complicated area of law, you should reach out to a bankruptcy lawyer if you have questions. In a Chapter 7, you can wipe out most unsecured debts like credit card or medical debt. In exchange, however, the bankruptcy trustee can sell non-exempt property and distribute the proceeds to your creditors. Pets are assets, and line 13 of the schedule of assets requires that you list “non-farm animals.” So you need to declare your dog, cat, bird, hamster, etc. as an asset. Does this mean the trustee will sell your cat or dog? No, for one simple reason—they have no value. On your schedule, you must list the market value of each asset. And although Fido might mean the world to you, you can list the value as $0, since no one really wants to pay money to get your dog. Of course, things might be more complicated if you invest in exotic birds or if you make money off your pets somehow. In these situations, the animals look less like “pets” and more like income-generating assets, so consult with a bankruptcy attorney. You do have options for not losing your animals. In Chapter 13 bankruptcy, the issue is different. A debtor does not lose any assets in a Chapter 13, but they must contribute their disposable income to their creditors. Unpaid debts will only be discharged at the end of a 3-5 year repayment plan. Pet care is obviously an expense. However, trustees and judges might view it differently. Generally, a small amount each month for routine pet care and food will not be a problem. But if you are spending hundreds of dollars each month for your pet, then the trustee might object. This is obviously a sensitive area for many pet owners, particularly those whose pets are old and need extraordinary medical care. If you are spending $500 a month to keep a pet alive, for example, then a trustee might consider your pet care expenses unreasonable. To protect your rights, you will need an experienced attorney to advocate for you with the bankruptcy trustee. Nowack & Olson is a leading South Florida bankruptcy firm. We have built our reputation providing top-shelf legal representation to financially distressed consumers in Doral, Jupiter, Plantation, and Boca Raton. If you have a question, we have answers. Please call 888-813-4737 to schedule a free consultation with one of our attorneys. We can meet to discuss your options and explain how filing for Chapter 7 or Chapter 13 will affect you.